The GB Olympians share their excitement as the Glasgow hosted European Indoor Championships fast approaches. 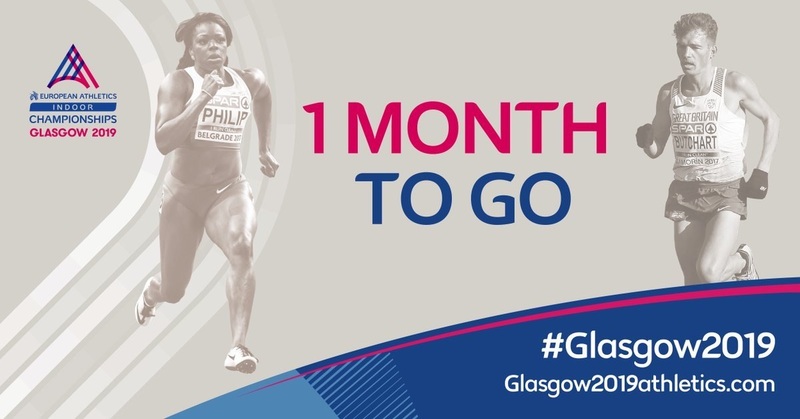 There is now only one month to go until some of the world’s leading athletes descend on Glasgow for the European Athletics Indoor Championships. 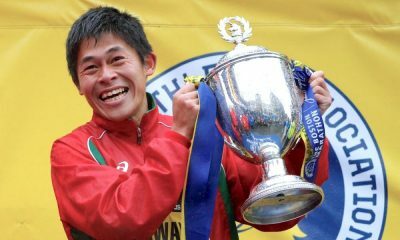 The athletics showpiece, which takes place over three days (March 1-3), returns to Glasgow next month for the first time since 1990 and there will be 650 athletes from more than 45 nations setting their sights on glory. 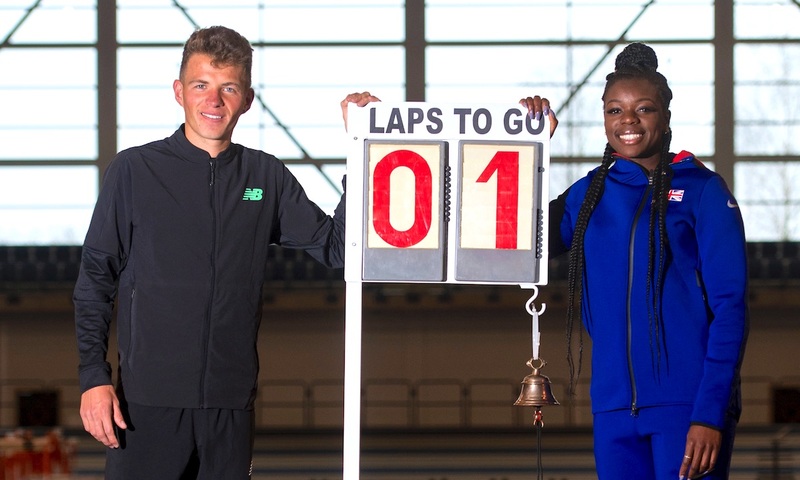 The Scottish city continues to build on its reputation as a world-class sporting destination, and today at the Emirates Arena, Andy Butchart and Asha Philip were in attendance to share their feelings ahead of the championships. 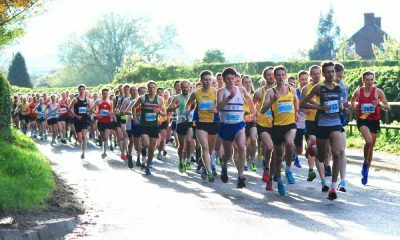 The competition will be the second major European event held in Glasgow within twelve months after a hugely successful inaugural European Championships last August. Glasgow continues to receive global recognition for this reputation with a coveted top five ranking as a sporting destination. 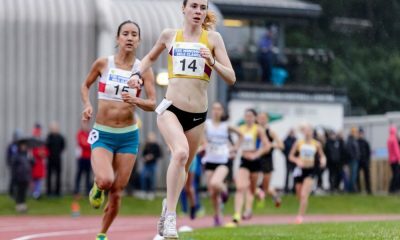 British 5000m runner Butchart has turned in some superb performances at the highest level in sport, most notably, at the Olympic Games in 2016 and at the IAAF World Championships in 2017. 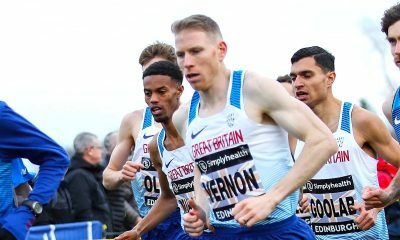 The Stirling-born runner will have his sights set on clinching success in front of a home crowd next month as he comes off the back of a major injury which meant the 27-year-old was forced to rule himself out of last year’s Commonwealth Games. Glasgow 2019 will present a real opportunity to not only perform but a chance clinch success in front of a home crowd. The Emirates Arena, built for the 2014 Commonwealth Games, has a capacity of 5000 and is one of the largest indoor sports venues in Europe hosting a diverse range of sporting events throughout the year. GB sprinter Philip has had nothing short of a fantastic career. She sparked her athletic journey by rewriting the history books as a teenager, as she became the IAAF World Youth Indoor Champion in 2007. Since suffering a career-threatening cruciate injury, which meant she was unable to take part in any physical activity for two years, she has made an incredible return. Philip now holds a wealth of titles to her name and can proudly say she is an Olympic bronze medallist and European Indoor 60m champion, currently holding the national record across that distance, to name just a few. “Now that we’ve officially passed one-month-to-go milestone until the European Athletics Indoor Championships Glasgow 2019, my excitement levels are very high as I am sure the rest of the athletes are too,” said the Commonwealth gold medallist. The European Athletics Indoor Championship Glasgow 2019 is guaranteed to give spectators unmissable entertainment. The full competition schedule is live on glasgow2019athletics.com and with tickets selling out fast, make sure you grab yours for your favourite event.